Werner's Cairns blog: Vodka has other applications, besides drinking it. Vodka has other applications, besides drinking it. I have to admit, I have never drunk “VODKA,” the Russian national drink, but I knew of its “existence." I thought it was more like a "medicinal drink" that can make you forget your worries and at the same time kill your intestinal worms and other nasties in your body. However, surprise, surprise, VODKA has many other uses. 2. To clean the caulking around bathtubs and showers, fill a trigger-spray bottle with vodka, spray the caulking, let set five minutes and wash clean. 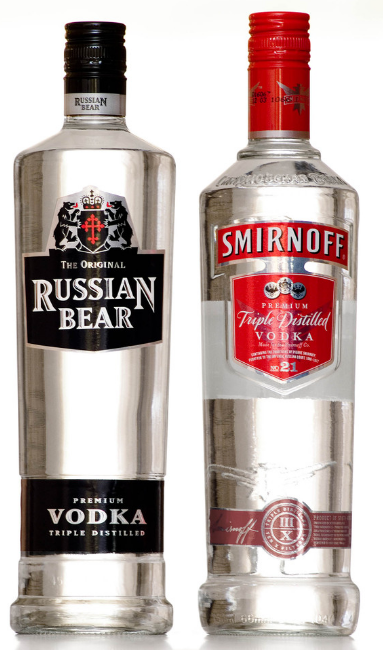 The alcohol in the vodka kills mould and mildew. 10. Fill a clean, used mayonnaise jar with freshly picked lavender flowers, fill the jar with vodka, seal the lid tightly and set in the sun for three days. Strain liquid through a coffee filter, then apply the tincture to aches and pains. 12. To cure foot odour, wash your feet with vodka. Allow your gums to absorb some of the alcohol to numb the pain. Vodka the universal cleaner and health drink. I studied your suggestions for the use of Vodka, but they don't come anywhere near as good as drinking it. Its got me beat as to why anyone would try those other things anyway. Werner, I meant to say this for a long time, your blog is really wide-ranging, interesting very informative and with humour thrown in. I love it, thank you. Werner, I meant to say this for a long time, your blog is really wide-ranging, interesting, very informative and with humour thrown in. I love it, thank you. As one of your blog fans, I have printed out many of your postings and send them to friends that do not have a computer, and they say to you as well as me, thank you for the good reading. However, your latest posting about “Vodka” I have also printed out for myself, and is now attached to my kitchen cupboard, which now contains a bottle of Vodka – the problem solver.